Acanthobrahmaea europaea — “European owl moth” | Welcome, visitor! Acanthobrahmaea europaea, the European owl moth, is an extremely unique species of Brahmaeidae for multiple reasons. First of all, it is regarded as the rarest moth in the entire continent of Europe. You see, their natural habitat is restricted around one single volcano – the Monte Vulture in Italy. Acanthobrahmaea europaea lives along the slopes and also general vincinity of this volcano – their area of occupancy is estimated to be 50 square kilometres or less – and is found nowhere else in the world. Acanthobrahmaea europaea is a very primitive species, in fact it is regarded as a “relict species”. It is thought to be a relic of tertiary origin – meaning it probably originates from a period of time between 66 and 2.5 million years ago, truly a “living fossil” among moths. So why have they not become extinct, while Europe has even undergone – and recovered from – an ice age in that time? It is thought that their habitat (Vincinity of the Monte Vulture and Groticelle Nature Reserve) is a refuge location. This means that for the past few millions of years, while the climate of Europe has drastically changed, the conditions in this small area around the Monte Vulture have remained stable, and never changed, allowing the small remnant population of this moth to survive for millions of years in this exceedingly small area. Only discovered in 1963 by Frederico Hartig, much research on them has been done since recent times. 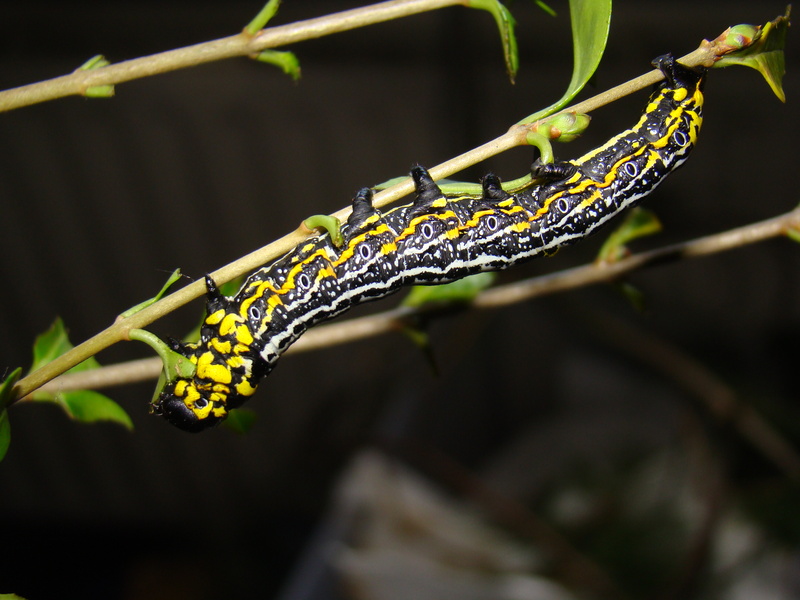 It is an Oleaceae feeder only, larvae are spotted on Phillyrea latifolia, Fraxinus angistufolia and Ligustrum sp. The moth does not have a “protected” status, although this is to be expected in the future due to their extraordinarily small habitat; not much pressure or habitat destruction is needed to wipe them out forever. Although the insect is not protected, much of their population lives in a natural reserve. Moths emerge very early in the year – from March to April – during a time when frost and snow is still common in their habitat. This does not seem to bother them, as the insect seems to be remarkably resistant to cold – they can fly and pair between 0 and 10 degrees Celcius without much problems. It is a primitive member of the Brahmaeidae, and may be split off from the ancestral lineage of the modern Brahmaea/Dactyloceras sp. we see today. Host plants: Phillyrea latifolia, Ligustrum and Fraxinus. Natural range: Only around one volcano in Italy, the Monte Vulture, nowhere else in the world. Rare and endemic. Polyphagous: Yes but not much. Feeds on Ligustrum and Fraxinus (Oleaceae). 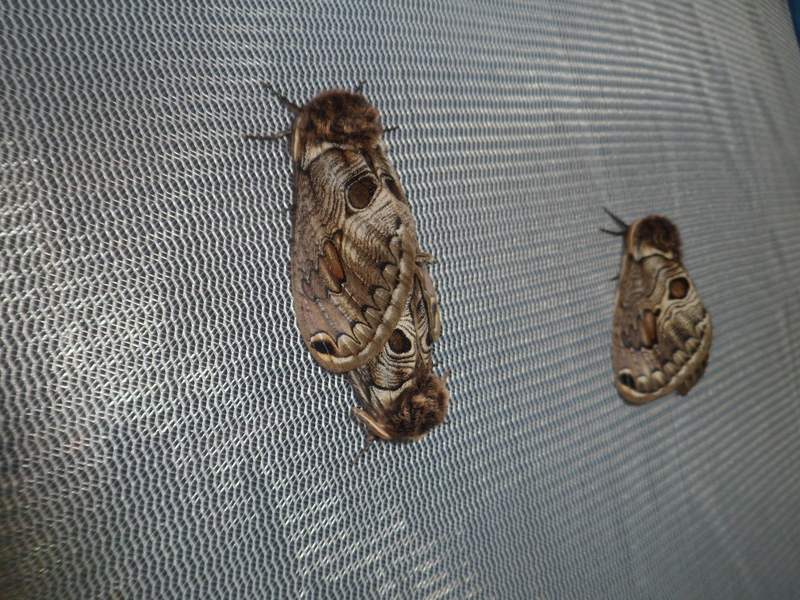 Special notes: The adults like to be cold unlike most moth species. They can pair outside in a cage in early spring or winter. In Italy, the adults emerge and fly even when the habitat still has frost and snowing. 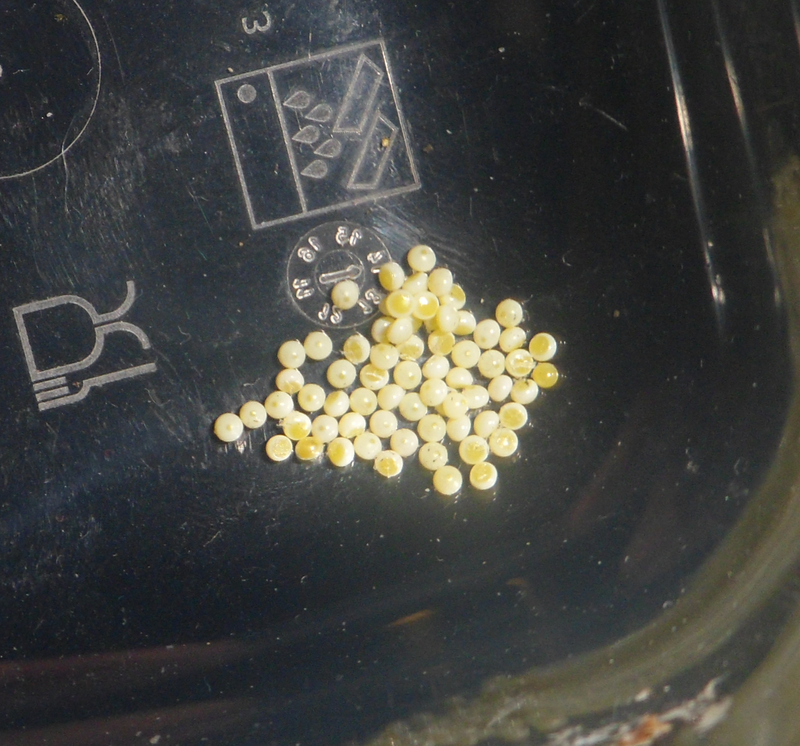 The eggs of Acanthobrahmaea europaea are small, pale and yellow, and hatch in about 1.5 to 2 weeks time, depending on temperature. As the larvae develop the eggs turn dark and a small micropyle dot is visible. The tiny larvae are black and are gregarious; this means they will need to travel, feed and shed their skins together in a group. They can be fed privet (Ligustrum), ash (Fraxinus) and Phillyrea latifolia – not much else. In the wild, this moth only feeds on those plants aswell. There is perhaps a small chance it may accept other Oleaceae, although not likely. 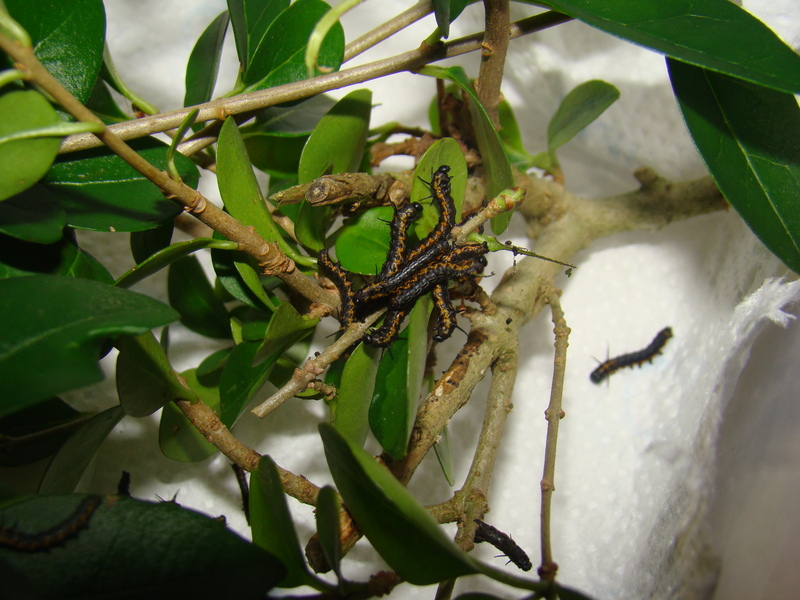 The young black caterpillars will develop more colour as they age, first getting an orange stripe along their side and later also white stripes on their backs. They can be raised in plastic containers. Personally, I raise the young larvae in my basement, where it is 7 to 15 degrees Celcius in spring (cold). The adult moths in the wild emerge very early in spring, among frost and snow – the low temperatures do not seem to bother them. When the eggs develop and larvae hatch, the temperatures are still “cool”, just before it starts to get warmer; the mature larvae (fourth and fifth instar) are found in the warmer periods of spring and summer. Most possibly, their strategy to emerge in the cold period of early spring is to synchronise the development of the mature larvae with the the first warm weeks of early summer, when the temperature and host plants are at their optimum. Thus, I recreate these conditions by rearing the young larvae in cold to cool conditions, and then moving the mature larvae to ‘warm’ conditions (room temperature). If it is necessary for the young larvae to be cold is unknown to me, but I think it they will be out of their comfort zone if reared too hot (22 Celcius or more). But since this method works well for me I do not intend to change it. I do suspect that this is one of the species where hot temperatures can kill the early instars. 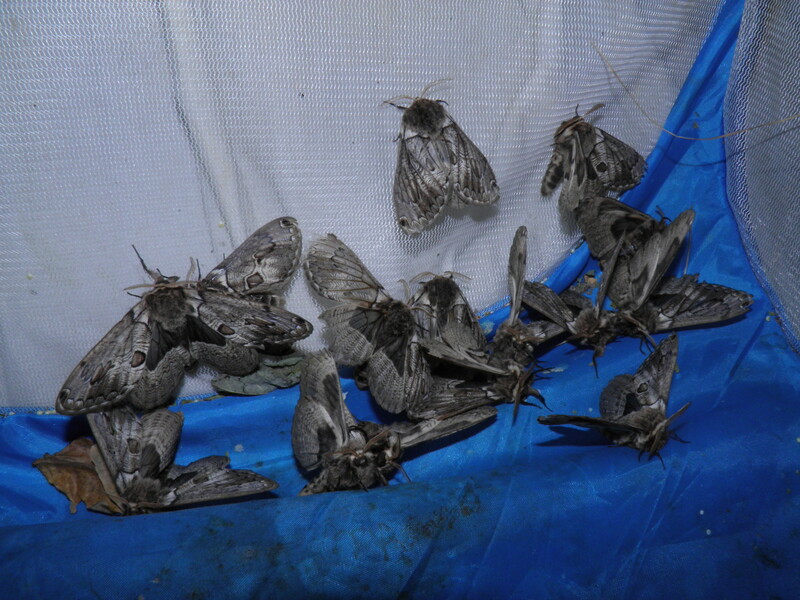 If you live in a warm climate, it is advised to take the moths out of diapause early so you can rear the babies early when it is still cooler in spring. 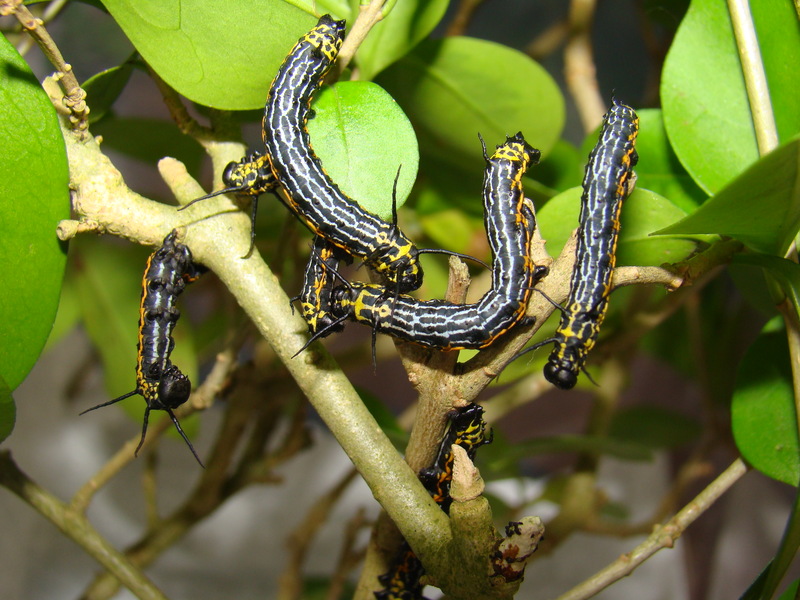 As the larvae mature, they become less senstive to temperatures and more robust. This when they can be reared on room temperature and warmer. They will develop interesting colour patterns, with white and black stripes on their backs and orange covering their rear end and thorax, which is connected by an orange stripe running along the sides. 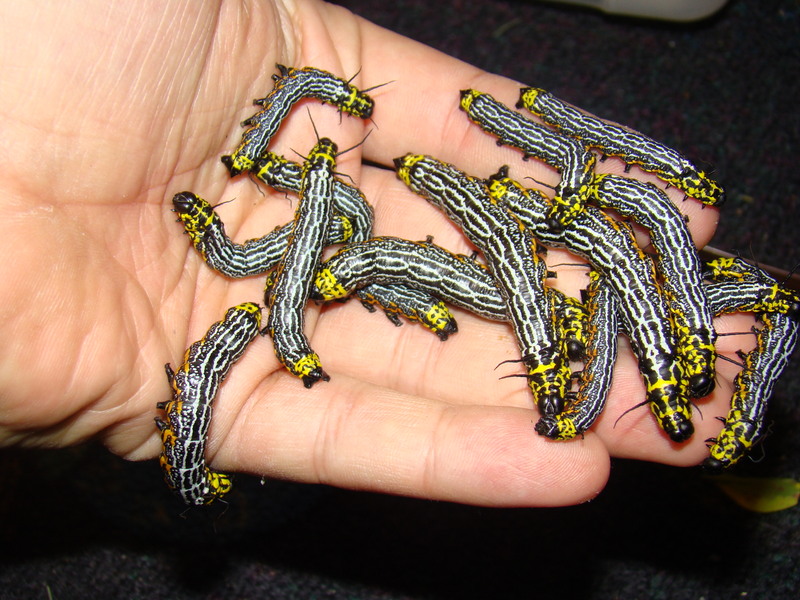 At this point, the larvae become less social. They start to disperse and need more space. In the fourth instar they can still be found feeding in eachother vincinity, but not too close to eachother. The fifth instar is solitary and prefers to be alone, although it is still very tolerant to the presence of other larvae and can thus still be reared in a relatively high density. In the fifth instar, larvae will feed for a while until they reach maturity. When this happens, they suddenly lose their appendages and will start crawling around restlessly. This is the signal that means they are ready to pupate. This species burrows in the soil and pupates there; the pupae remain there until next spring. Pupae will need to be kept cold to overwinter them succesfully. This larva has already lost its appendages but is still feeding; however soon it will become prepupal. “Acantho” means “thorny”. Species with this word in their scientific name often have spikes, thorns or horn like appendages. In the case of Acanthobrahmaea, it refers to their pupae. Their pupae have remarkably spiny thorns on their abdominal segments, thorax and a very sharp cremaster; handing the pupae roughly may even hurt. It is thought that this supports the pupae when they burrow (they can move) or try to resurface just before emergence. It may also deter predation from rodents and other ground dwelling creatures. 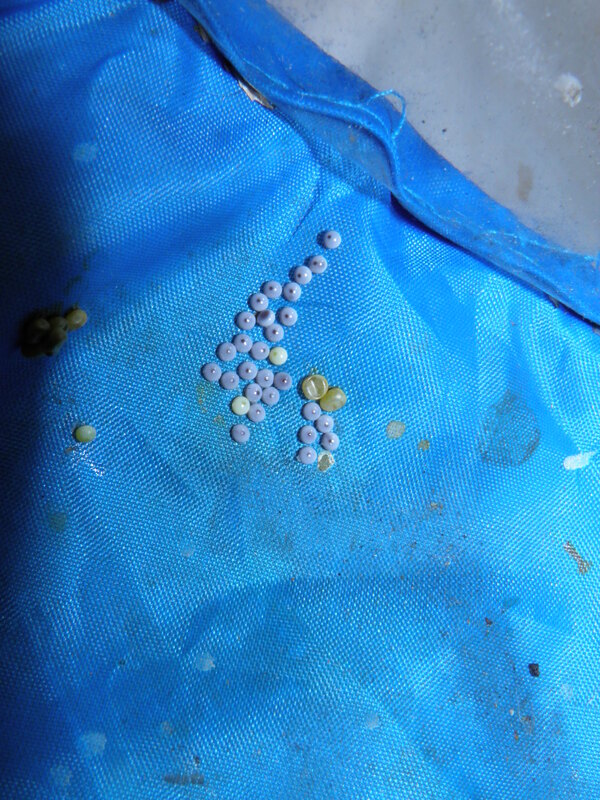 Pupae have been reported in swine feces; although it is unclear if wild boars actually know how to locate their pupae and consume them, or if they are uncovered or consumed by accident when they are rooting the forest floors. One thing is for sure: these spines do not fully protect them from harm! Larvae can pupate in soil, shredded paper towel, vermiculite, moss and other substrates. 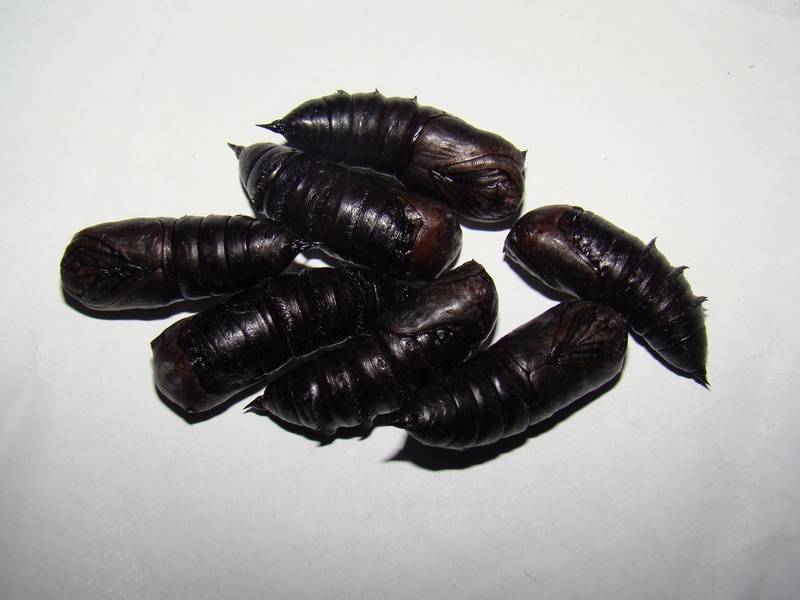 The pupae should be kept cold; outside in winter (if well isolated) or in a cellar. A fridge may also be an option if precautions are taken that prevent them from dessicating. 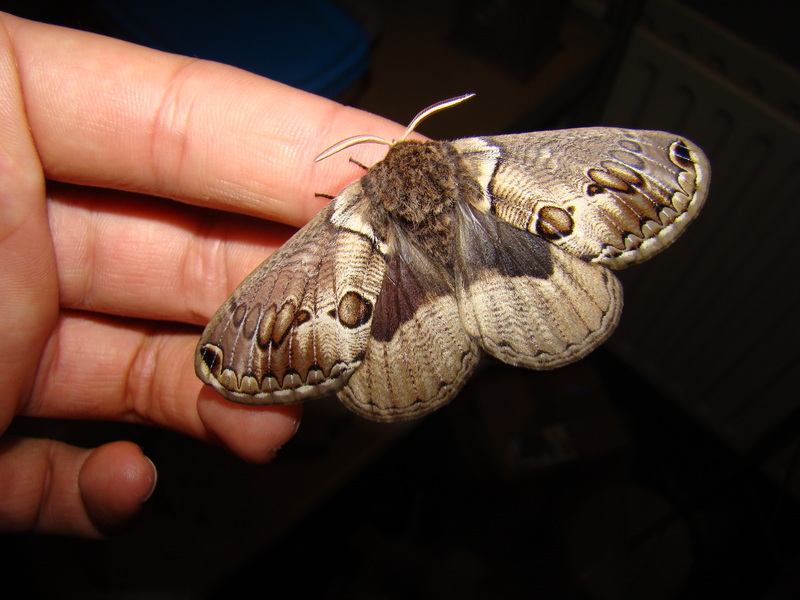 If warmed up, the moths are quick to hatch in a few weeks time. The adults do not feed and live for about 5 to 14 days; females longer than the males. Pairing them may either be extremely simple or extremely difficult depending on your local climate. The adults are very cold resistent- in fact, it is natural for them to hatch and pair in cold conditions. In the wild, they have been reported to fly even during periods of mild frost and snow, which does not seem to bother them a lot. Thus, they are easy to pair outside especially if they temperatures are cold or cool. About pairing the adults: I have paired them in 3.3 degrees Celcius (lowest) to 18 degrees Celcius (warmest) in winter and spring, in a cage in my garden shed. However, other breeders have reported to have paired them on room temperature (21 Celcius). This suggests that perhaps they do not need to be very cold to be able to pair, although it is natural for them to do so. I myself have never been able to pair them at room temperature however, though I had many succes with pairing them outside. 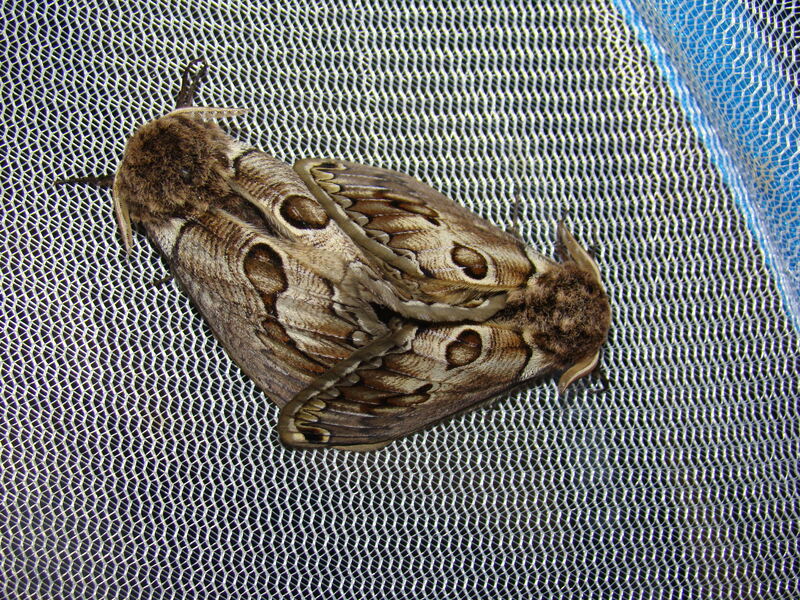 I have also seen the moths become active at temperatures around 2 degrees Celcius. While they are very cold hardy, it is not advised to keep them in freezing temperatures. Although this species is cold hardy and adults will even survive mild frost, they will stop moving if exposed to frost for too long, and become inactive until the nights become a little warmer. In fact, even if this page mentions their remarkable cold resistance many times, every insect has its limits, and too harsh frost will simply kill them. Do not leave them exposed to temperatures lower than -5C. If you have the conditions right this species is very, very easy to pair; it is all about the right temperatures and ventilation. Not a neat and orderly looking setup, but it simply works. A pop up cage/aerarium in my garden shed in winter. It shelters them from cold rain and harsh wind. A pairing of Acanthobrahmaea europaea; archieved 8 January 2016, at 3.3 degrees Celcius, outside in my garden in the Netherlands. That’s correct, in mild winters they can be paired outside as early as December and January. Acanthobrahmaea pairing cage; put outside in April and March in the Netherlands. Again in a sheltered spot to protect against rain, snow, and wind. Acanthobrahmaea in copulo in early spring. After pairing, the females will lay about 50 to 100 eggs – the eggs are creamy yellow/white and will darken in a week if fertile. Adults can be kept together in reasonable amounts, but I would advice against placing more than 3 couples (= 6 individuals) per cage for optimum pairings. 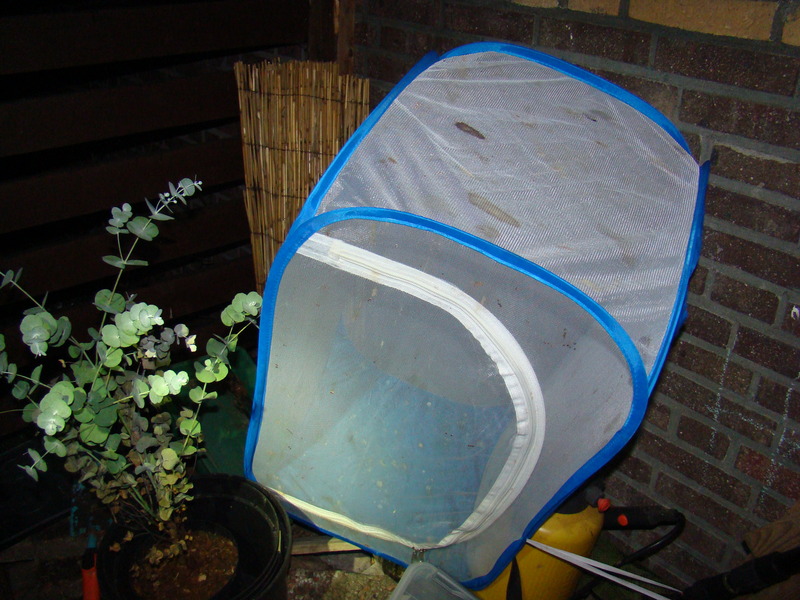 If you plan on placing them outside, sticks and objects can be included that may encourage the moths to seek shelter from harsh conditions; their abdomens are rather exposed against a ventilated netting surface, and a stick or piece of wood to sit on may provide for slightly more isolation. The females seem to prefer to lay on rougher surfaces too, although they will randomly lay bunches of eggs everywhere if provided no better options. On good surfaces they will arrange them more neatly. Before I get hatemail from pseudonaturalists; (sorry, that sounded salty) – but no, no this is not how I keep them together, but I made this picture to show them all off, which is difficult if they are all trying to escape. Females are slightly bigger and fatter and have thinner antennae. Females live longer than males. Larvae are easily raised to maturity if kept well ventilated and clean. They tolerate higher densities but it is not adviced to overcrowd them, they can still get sick if too many individuals are kept together in one box. This species is very inbreeding tolerant; one of the reasons that some breeders have kept strains of them going in captivity for 10 years and longer. However for the sake of genetic fitness it is best to raise and pair them from a larger amount of individuals, instead of bottlenecking brothers and sisters. It makes sense that they are very resistant to inbreeding, as the moths have survived in a very small region for possibly a few million years; and it is very hard for such a small population to sustain itself while maintaining genetic diversity. In the future, this species may or may not enjoy a higher degree of protection; livestock will potentially become harder and harder to obtain. Especially protection of the habitat, rather than protecting them as invididuals, will be very important for their long term survival. 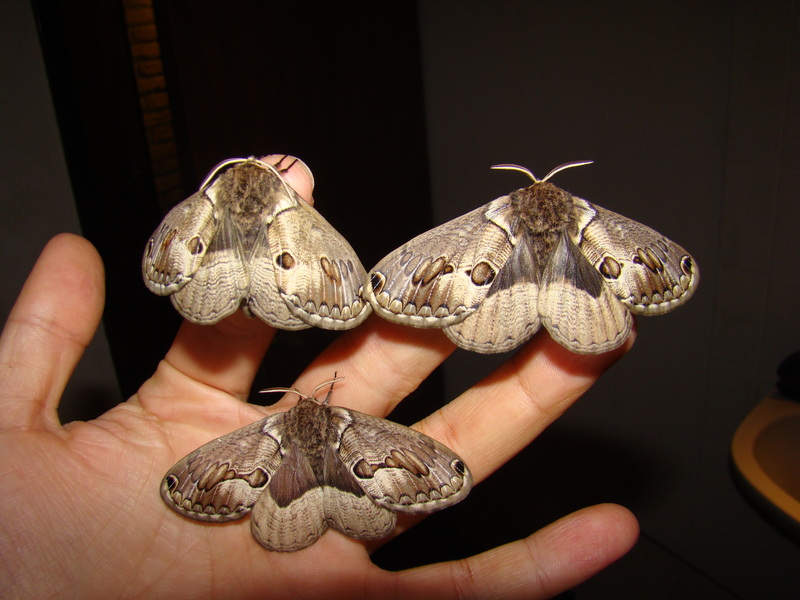 Although not as many people care about moths as they do about butterflies, recently moths have gotten more attention from the international community. While it is generally very rare for a moth species to become protected, it has already happened to some, including many populations of Graellsia isabellae in Europe. Although everybody is free to do what he wants with his livestock, it is recommended to put extra effort into keeping their bloodline going and reproducing them if you decide to breed them, as livestock may be very difficult to obtain in the future if people stop breeding them in captivity; secondly the demand for wild eggs or specimens will be lower if they can be easily bred in captivity, reducing the pressure. If bred by many people, A. brahmaea may remain in captivity for a long time. 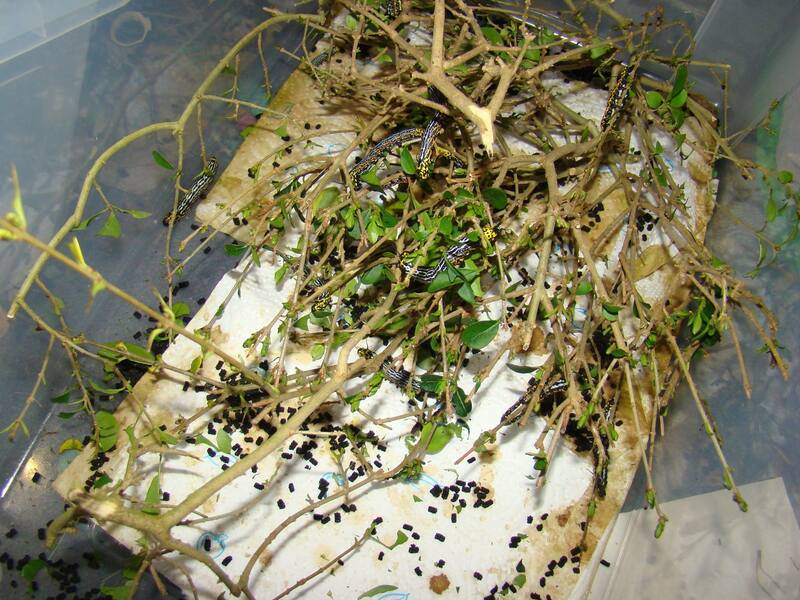 An open rearing container with Ligustrum; paper towel absorbs excess moisture (plants are wet in spring after rain). 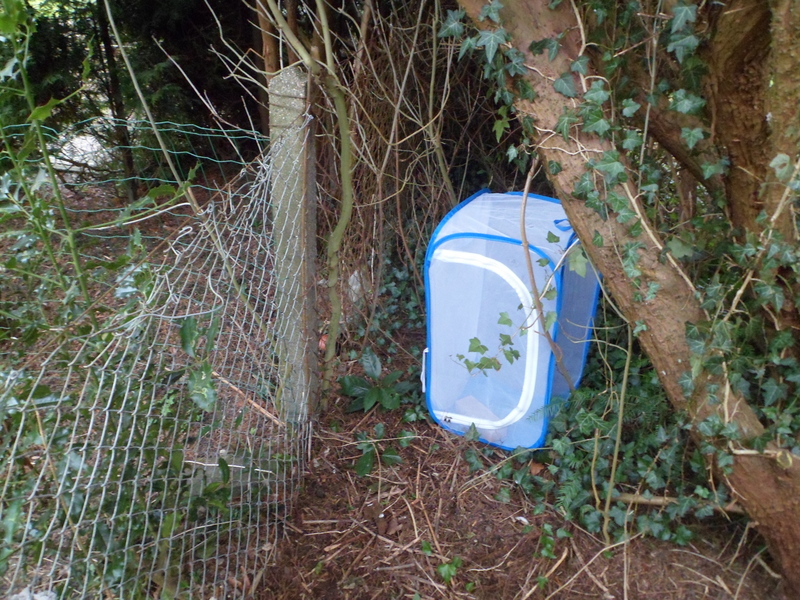 A cage is fine too, and in some cases even closed plastic containers. 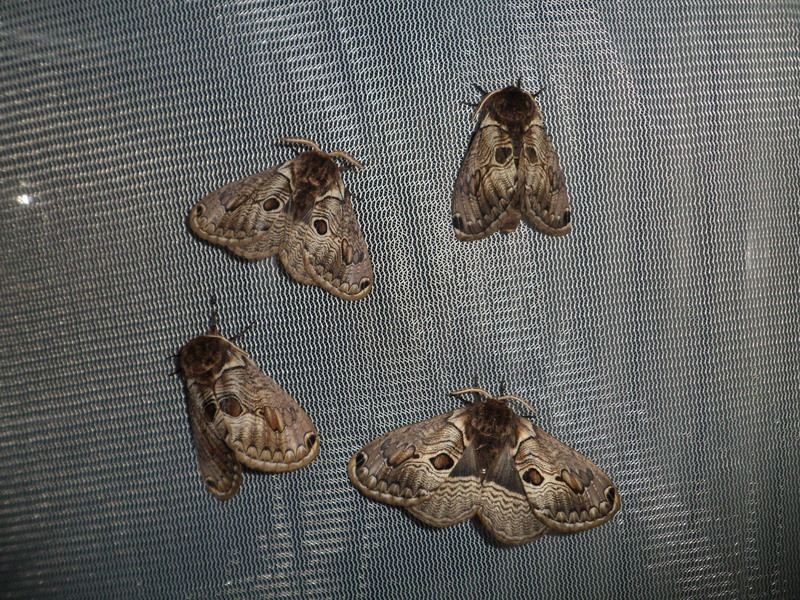 The patterns on the adult moths are rather variable, and some nice variations can occur in captivity, although there is nothing extreme; but like a fingerprint, each individual seems to have their unique pattern of stripes and swirls.